Tomorrow is the official opening of this year's summer events by the Cretan Association of Santorini "To Arkadi" with a children’s trip to Neverland. 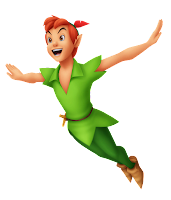 The Theater of the North comes to Santorini to introduce us to Peter Pan, the mischievous boy who never grows up, to Tinkerbell the fairy, to Captain Hook and many more. The play is in Greek. At the Senior High School in Fira, at 21.00.